House Speaker John Boehner blew a gasket when a reporter asked him whether the Republicans’ refusal to adequately fund Amtrak might have played a role in the May 12 derailment of a Northeast Corridor train that killed eight people and injured more than 200. “Are you really gonna ask such a stupid question? Listen, you know, they started this yesterday: ‘It’s all about funding. It’s all about funding.’ Well, obviously, it’s not about funding,” Boehner whined, before seizing on reports that the train “was going twice the speed limit” as it entered a turn in Philadelphia. Boehner’s folly was to presume that every transportation disaster is an either/or situation, in which the possibility of accident or human error immediately absolves austerity-obsessed legislators from any responsibility. It doesn’t work that way. Smart investments in infrastructure don’t just maintain the physical integrity of transportation systems; they pay for technological improvements that protect the lives of passengers and crew. 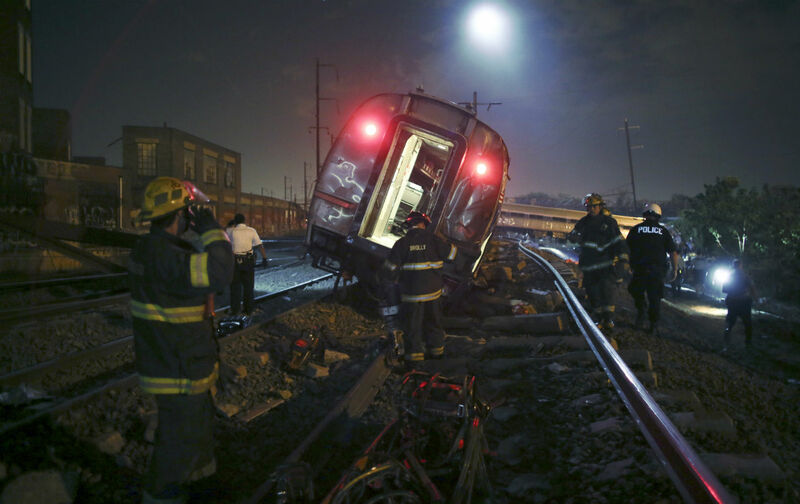 These new technologies have caused accident rates to decline in recent years, yet many railway corridors are still awaiting them—no small matter when Amtrak derailments have jumped from two in 2012, to six in 2014, to nine in the first two months of 2015. Adequate funding also eases the pressure for staff cuts, which are a major safety concern for unions representing the workers of rail lines and urban mass-transit systems. It’s not just safety that’s being underfunded, and not just on rail lines. The American Society of Civil Engineers gave the nation’s infrastructure a grade of D+ in 2013 and outlined the need for massive investment to bring things up to speed. Congress must recognize what New York Mayor Bill de Blasio, a Democrat, and Oklahoma City Mayor Mick Cornett, a Republican, recently noted: While US spending on infrastructure has collapsed to 1.7 percent of GDP, “the rest of the world races ahead. Europe spends 5 percent of G.D.P. on infrastructure, and China 9 percent.” Confronted by information and events that demand action, John Boehner keeps saying “it’s not about funding.” That’s stupid.